Sick of your iTunes? (Yeah, your music taste does kind of blow). 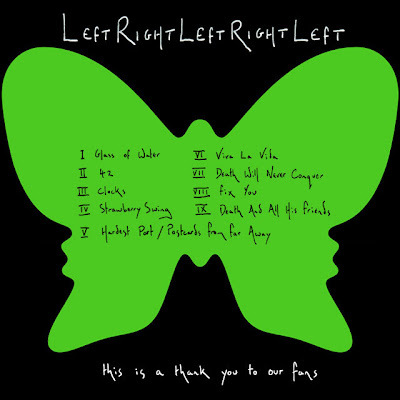 No worries - download Coldplay’s newest album Left Right Left Right Left and a Lollapalooza song sampler for free! I just help you out in all aspects of your life, don't I? Once again, much love to Fantabulously Frugal for these finds!